I recently read an article about the life and death of actress, Donna Douglas who portrayed Elly May Clampett on the “Beverly Hillbillies” TV series from 1962 to 1971. According to the writer, Douglas indicated, that although she went to church as a child and teenager, she had no real relationship with God until she began to seek careers in acting and modeling. As her relationship with Christ evolved, she sought God through prayer to get only family friendly roles in an era where media was becoming more risqué. 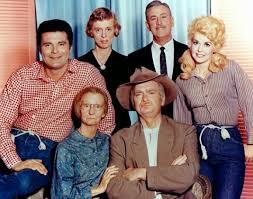 When Douglas landed the role of Elly May Clampett, she understood it as God’s response to her request. “I try to encourage them that nobody can be a better you than you. If you want God’s best for you life, it’s out there for you. That’s what my life shows, that you don’t have to compromise,” she said. According to Douglas, God opened opportunities in acting that allowed her to enjoy her career and maintain her Christian values. In later years, Douglas became a Christian speaker and used her testimony to encourage other Christians to remain faithful in prayer always, and to never compromise one’s faith based morals. In the Psalm above, the writer describes several things—day, night, moon and sun, boundaries of the earth, and summer and winter. Each of those listed has a period of purpose designed by God. Douglas shares how her purpose changed in the varying seasons of her life. Trust in God guided her career and success. As a young woman, Douglas developed a life long relationship with God. When she was older she shared these testimonies with others to encourage them. Douglas died in January 2015 at the age of 82. Of the many examples in the Bible, I will share three examples of how God used people differently in various points of their lives. First, King Josiah of the Old Testament began his reign at eight years of age and ruled for over three decades. Third, the Book of Genesis shares the story of the birth of Isaac to Abraham and Sarah who were both senior citizens by our standards. This illustrate s God’s ability to keep his promise and bless us to accomplish great things at any age. Each of the examples above illustrates how God uses people differently in the seasons of their lives to accomplish God’s purpose. I believe God continues to use his followers in different seasons of their lives. Be ready to share your testimony wherever God provides the opportunity. Have a safe and blessed summer vacation season.